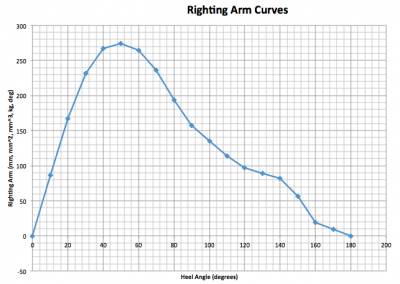 Here is a curve of rightning arms. This curve is remarkable for its range. The stability for Yrvind Ten is positiv for all angles of heel. Modern production boats have only positiv values for angels up to 120 – 130 degres. The reason, they have small height beam ratios and they have large cockpits that do not privide boyancy when the boat is up-side-down. 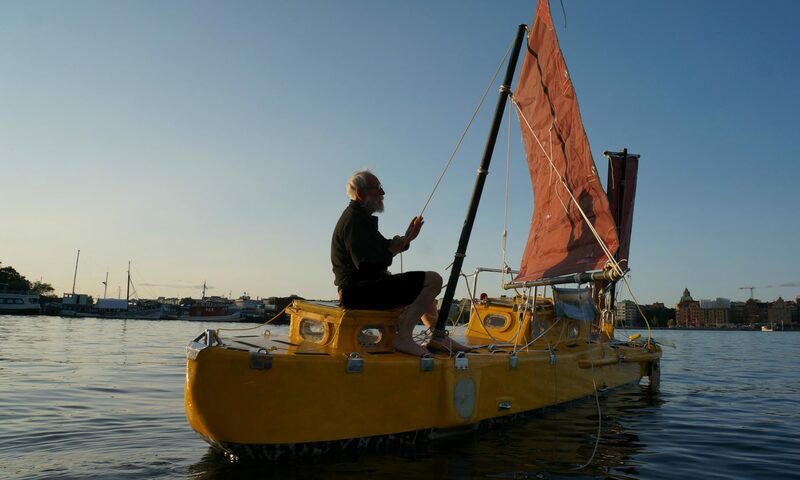 As my boat is going to spend a year in the worlds stormiest waters it will be upside down many a times. I like to make my boats behavior in waves as comfortable as possible. I belive a deep fin keel with a heavy bulb is going to create bad movements. I belive boyancy in a deck house is a much better way of making a seakindly boat. I am also convinced that I do not like to be in a big boat when it capsizes. The Fastnet race and the Sidney – Hobart race gives exampels of what can happen to big boats in heavy weather. Annie Edson Taylor was a teacher. 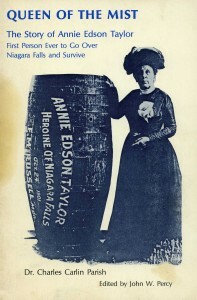 On 24 October 1901 on her 63 birthday she went over the Niagara Falls in a barrel she had designed herself. Now if a small boat like that built of oak and iron hoops could survive the Niagara Falls more than a hundred years ago I am convinced that a modern composite boat can survive anything. Now imagin what would happen if you pushed a modern production boat over the Niagara Falls. Me for one would not like to be in it. And still, people think small boats are unsafe.